There are several regulations and voluntary guidelines applicable to investors in South Africa which cover the inclusion of environmental, social and governance (ESG) considerations in the investment process. The integrated report, with its reflection of the six capitals used and affected by the organisation, can be a useful tool to investors in this regard. The CRISA Code (see below) specifically calls on investors to assess the quality of an organisation’s integrated reporting. Pension funds would also find it useful to prepare their own integrated report, and this is a recommendation of the King IV Code (see below). Revised Regulation 28 of the Pension Funds Act 24/1956 in South Africa contains revised prudential guidelines for retirement fund investments, with specific reference to ESG integration, and is considered ground-breaking at international level. Through active engagement by industry stakeholders, the language and principles were expanded to include the concept of responsible investment. The regulations, effective 1 July 2011, govern how pension funds invest their assets. Regulation 28 includes the call for trustees to include environmental, social and governance factors in determining the material factors that could affect an investment. South African retirement funds must now explain how they have integrated ESG considerations in their investment policies and disclosures, or why they have chosen not to do so. was launched on 19 July 2011. This makes South Africa the second country after the United Kingdom to formally encourage institutional investors to integrate ESG into their investment decisions. CRISA is applicable to institutional investors (asset owners such as pension funds and insurance companies) and their service providers. The voluntary Code is adopted by investors on an ‘apply or explain’ basis. The Code’s principle 1, recommended practice 1 b, states that investors should assess the quality of a company’s integrated reporting and if integrated reporting is not applied due enquiry should be made on the reasons. 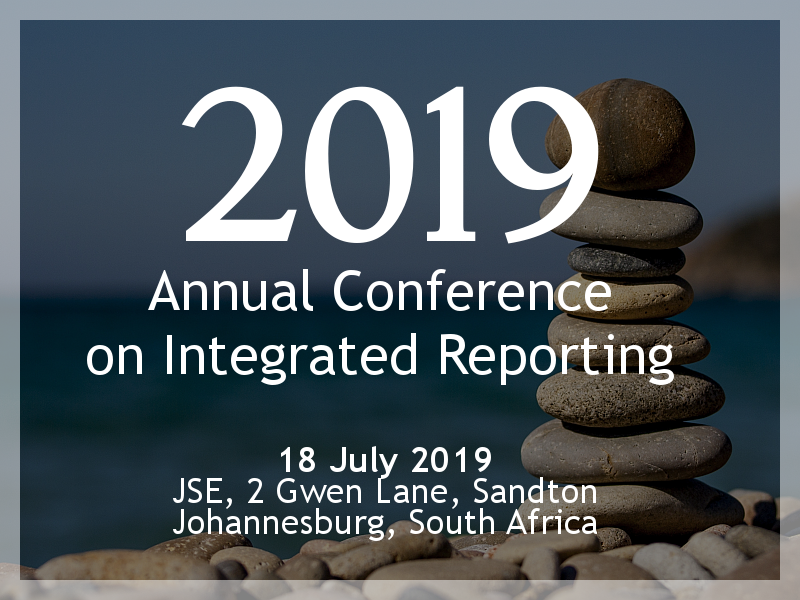 CRISA aims to provide the investor community with the guidance needed to give effect to the King Reports on Corporate Governance South Africa, as well as the United Nations-supported Principles for Responsible Investment (PRI) initiative. Principle 7 and Principle 8 of Circular PF 130, issued by the Financial Services Board (FSB) in June 2007, outlines the responsibility of trustees to ensure that “the benefits [of pension investments] are optimised and the associated investment risks are minimised, with these opposing concepts being appropriately balanced against each other. The King IV Report on Corporate Governance has a dedicated supplement aimed at pension funds and other types of retirement funds and includes the recommendation to prepare an integrated report. The United Nations-supported Principles for Responsible Investment (PRI) Initiative is an international network of investors working together to put the six Principles for responsible investment into practice. Developed by investors for investors, the Principles are voluntary and aspirational. The PRI’s goal is to understand the implications of environmental, social and governance issues (ESG) for investors and support signatories to incorporate these issues into their investment decision making and ownership practices. In implementing the principles, signatories contribute to the development of a more sustainable global financial system. The PRI currently has over 1750 signatories representing US$65 trillion in assets under management. The Sustainable Returns for Pensions and Society project was a collaborative retirement industry response to the revised Regulation 28 of the South African Pension Funds Act, which called for the integration of environmental, social, and corporate governance (ESG) issues in the investment decisions of South African pension funds. It set out to provide a consistent framework and set of tools for retirement funds to comply with the new regulation as well as the voluntary Code for Responsible Investing in South Africa (CRISA). The project featured extensive consultation with the South African retirement and investment industry over a two-year period and culminated in the release in 2013 of “Responsible Investment and Ownership – A Guide for Pension Funds in South Africa”.